Meet Luke Wilkins and Matt Tancock who are part of our on-air team here at Apple FM. Since becoming friends at Uffculme School in 2007 they have both shared common interests ever since. The buzz for broadcasting started when the pair set up, with the help of school friends, their own internet radio station. From humble beginnings their production skills flourished as they began producing music and videos for local artists which were showcased online. From their success in the online space they enrolled at Exeter College on a media based course to progress their theoretical knowledge of the sector. Alongside their studies they began to set up a College radio station in the heart of the campus for all students learn and practice their broadcasting skills. The duo joined Apple in December 2014 and were soon presenting Breakfast and Drive-Time shows together. 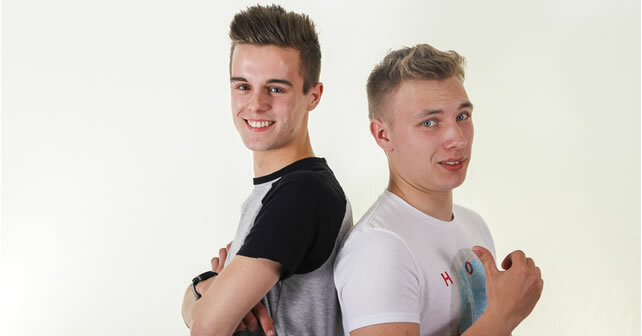 You can catch them on Saturday evenings from 7pm for Altitude, you can also catch Matt on Thursday Drive-time.